China’s Huawei Technologies overtook Apple Inc to become the world’s second-biggest smartphone seller in the June quarter, data from market research firms showed, as it gained ground in Europe and expanded its lead back home. The estimated rise in market share comes as a slowdown in the world’s biggest smartphone market, China, eased. Huawei has also managed to get ahead of rivals by selling more feature-packed phones, analysts said. “Huawei is shifting to more value-added models, by launching new flagship smartphones with the latest features. 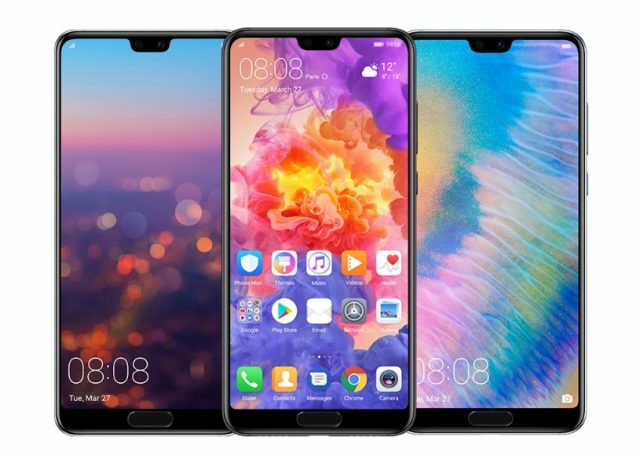 Huawei’s P20 Pro is the first flagship smartphone model to be equipped with triple cameras, beating competitors to market,” IHS Markit analyst Gerrit Schneemann said in a note. Huawei on Tuesday said overall it had raked in 15 percent higher revenue in the first six months of 2018, steady at levels seen a year ago. According to IHS and Strategy Analytics, Huawei grabbed more than 15 percent of the global smartphone market over April-June, overtaking Apple’s roughly 12 percent and just behind Samsung Electronics Co Ltd’s nearly 20 percent share. Data from Canalys, which estimates industrywide smartphone shipments in China topped 100 million in the second quarter from 91 million in the first, shows Huawei grew its share of the home market by 6 percentage points on year to a record 27 percent. The Chinese market is key for Huawei as it has come under fire from the United States, Australia and other nations over concerns it could facilitate Chinese government spying. The company has been virtually shut out from the United States with no major carriers selling its smartphones. Huawei has denied it facilitates spying and has said it is a private company not under Chinese government control and not subject to Chinese security laws overseas. Analysts, however, expressed concerns over the whether the improvement in the Chinese market was sustainable. While the rate of decline has eased, the Chinese market is expected to weaken in the following quarters, Canalys said. “The larger vendors face a high degree of uncertainty over the current trade situation with the US,” analyst Mo Jia said. “Increasing prices and maintaining market share in the face of a stronger U.S. dollar might be easy for a brand such as Huawei, but will be difficult for Xiaomi, Oppo and Vivo,” the Canalys analyst added. China and the United States are embroiled in a trade dispute with both nations imposing tariffs on billions of dollars worth of goods and fighting over technology and patents. These duties have not yet targeted Apple iPhones, but Chief Executive Tim Cook said on a conference call on Tuesday that he was looking into whether the company will be hit by tariffs on purchases it must make, possibly related to data centers. Apple regained some growth in China in the June quarter, where sales rose 19 percent. Sales there had fallen dramatically in 2016 after Chinese consumers shunned the iPhone 7, whose overall appearance differed little from its predecessor. Samsung Electronics, the biggest smartphone maker globally but almost a bit player in China, on Tuesday posted its slowest quarterly profit growth in more than a year as its Galaxy S9 lost ground to rivals. Increasing brand recognition is enabling Huawei to challenge Samsung in many price segments, IHS’ Schneemann said. Huawei said all its businesses, including smartphones, telecom equipment and IT infrastructure services, did well in the first six months of the year. Revenue rose to 325.7 billion yuan ($47.97 billion), while operating margin rose to 14 percent, from 11 percent a year ago. The Shenzhen-based firm did not provide a detailed performance breakdown for the period. The company does not release a profit number for the half year. Huawei’s consumer division, which houses its smartphones business, accounted for roughly a third of its total revenue last year. It got half its revenue from its carrier business.